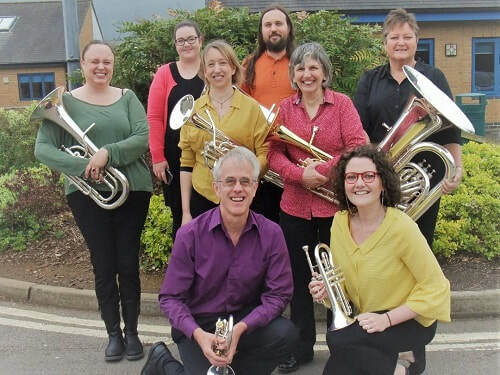 Chalgrove Band is a friendly brass group which welcomes players of all standards and ages. We are a rather small but growing and enthusiastic band and we would love to have some more players of any brass instruments to swell our ranks - please get in touch using the form below - leave your phone number or email address and we will get back to you. We rehearse 8.15 - 9.45 pm on Mondays at Chalgrove Village Hall, Baronshurst Drive, Chalgrove, OX44 7TE. Please contact us below if you would like more information - to book us for an event or to come along for a practice!